Grinding wheels are an abrasive product Coventry Grinders specialise in. We offer grinding wheels by Norton, the world’s premium abrasive brand. The Norton Vitrium 3 grinding wheels, in particular, offer superior grain holding properties which can significantly improve wheel form and corner holding, reducing dressing time and dresser wear. If you would like to learn more about worldwide market leader Norton please click here, and you can view our selection of Norton abrasives here. 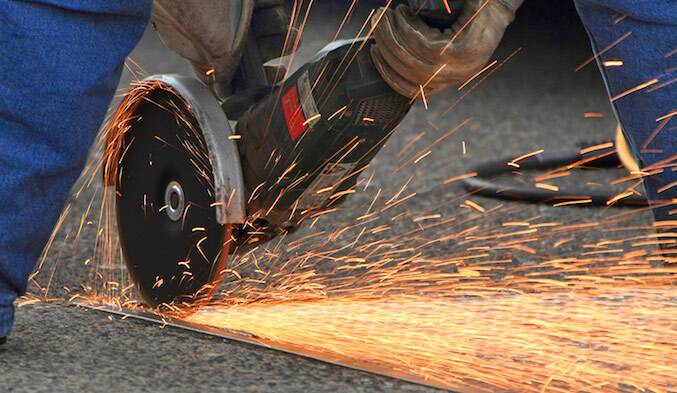 Here at Coventry Grinders, we also provide our very own high quality grinding wheels. Our ceramic grinding wheel selection is designed for grinding hardened tool steel because they are made of 30% ceramic abrasive, which is perfectly suited to grind harder materials such as hardened D2 or 01 tool steels. The ceramic content of Coventry Grinders’ grinding wheels helps to keep a sharp edge, higher stock removal and cool cutting. Our grinding wheel selection can also be used with or without coolant. We do suggest for non-forming surface grinding applications even better performance rates can be executed by using a cluster diamond dresser. Coventry Grinders’ grinding wheels are made with great performance in mind at a very attractive price and are one of our most popular grinding wheels. From our many years of experience in the industry, we are more than happy to share our expertise for any of your grinding wheel enquires. Excellent customer service is at the heart of our brand and we wish to provide you with the perfect solution and make sure you are equipped with right grinding wheels for the task in hand. If you are in need of our grinding wheels expertise please do not hesitate to give us a call on 024 7623 3933 or email us at info@coventry-grinders.co.uk, we are more than happy to help. You can also browse our online shop here. This entry was posted in Products and tagged Abrasives, Coventry Grinders, Norton.